Movie Story: Trains ramming into cars, falling bridges, roaring wild cats and crash landing helicopters. 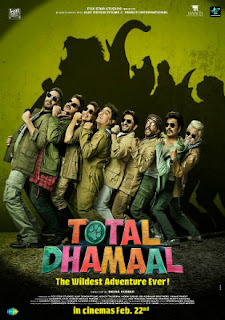 Director Indra Kumar’s Total Dhamaal leaves very little to imagination in creating a loud comedy. However, the ensemble star cast aside, this pursuit for comic adventure turns into a misadventure pretty early on in its ride.